When traveling in the Philippines, you can never run out of places to explore. This is because the archipelago is one of the most diverse destinations in the world in terms of food, culture, language, and of course, of the sights and sounds that every region has to offer. The start of the travel year is here, and if you’re already planning for your next trip, this article will help you make the decision of where should be your first stop. There are a lot of things that every island in the country takes pride in: from beaches, cave systems, rock formations, rice fields to mesmerizing waterfalls. That is why it is important to make every trip unforgettable especially if your next destination is set in a uniquely majestic setting, so it’s good to have your camera as a constant travel buddy. Here are the top places in the Philippines with the most fantastic views for that picture-perfect travel moment. Batanes is a small archipelago region that sits on the valleys of Cagayan. As the northernmost province in the Philippines, not many people have actually explored its geographical wonders. For those who were lucky enough to fly to its remote islands, they were one of the fortunate few to have witnessed the elegance of this beautiful paradise. 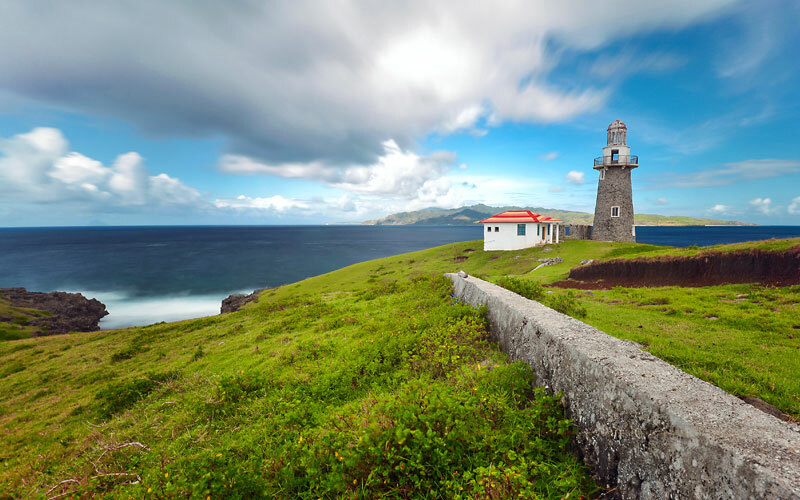 Almost a dominant part of Batanes is composed of long ranges of hills and mountains, with a vast shoreline rammed by endless waves, providing a magnificent view for landscape photographers and shutterbugs. In fact, many vloggers and travel writers have declared the place as a top travel destination because of its natural beauty. The place is also a favorite spot for movies and other cinematic works. The Banaue Rice Terraces may be a world-famous destination for local and international backpackers because of its title as a UNESCO World Heritage site, but its neighboring village, Batad, holds the same title and has an equally majestic view to offer. Among Ifugao’s rice terraces, Batad’s winding stairs of rice plantations are gaining its own popularity as one of the most visited cultural villages in the region. This is because the area has welcomed itself to travelers by providing lodging homes and inns that offer a full experience of the people’s food, culture, and way of life. Nearby are fascinating sights of seemingly endless mountain ranges, but there is more to what this place can offer. 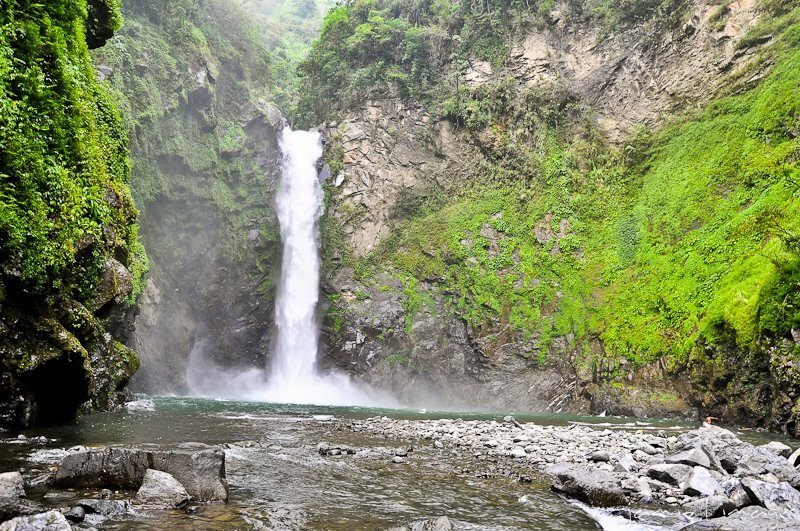 For instance, a 30-minute walk from the village is Tappiyah Waterfalls, a 70-meter falls that grants a picturesque background for a unique travel-slash-backpacking photo. This spectacular travel-adventure destination is just a few hours away from Metro Manila – but only a few weekend warriors and adventurers have dared to explore this part of the country. Why? The location offers a stunning view of a wide variety of greeneries and different shapes and sizes of rock formations. However, getting there requires determination and physical endurance. 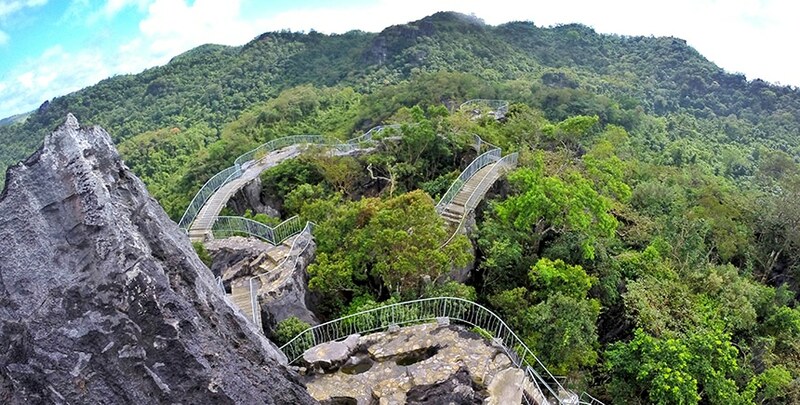 Park authorities suggest that guests should set aside an entire day for every visit as the adventure involves a few hours of trekking and hiking before reaching the actual destination. From there, are winding paths, thrilling rope courses, and most importantly, uniquely designed stops. The activity aims to raise awareness to the importance of conservation. In fact, the whole point of the activity started as a creative protest against illegal logging, mining, and quarrying in the region, especially in the forests of Rizal. 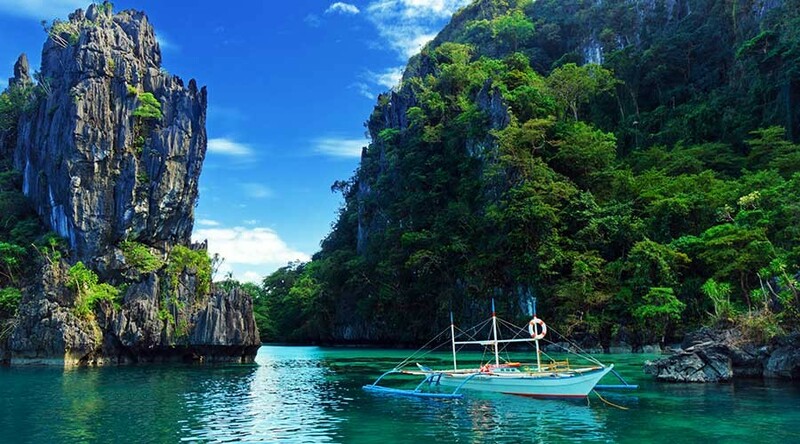 El Nido is one of the major regions in the large island of Palawan. As a travel destination, it is perhaps the most popular in terms of accommodation, beachfront view, and quality of the natural environment. Compared to Coron and Puerto Princesa, it has the most number of foreign and local tourists that visit every year. The only catch is that you have to prepare a much bigger travel fund in order to fully experience what it has to offer. El Nido has the best beaches in the country and is home to Philippines’ exclusive island-resorts that many Hollywood and local celebrities frequently visit. Its white sand beaches and crystal clear waters offer a scenic view for photographers and videographers. For underwater photography, El Nido has a lot of scuba diving sites on its must-experience list. The underwater sceneries of the region present a wide variety of structures that include vertical walls that can go as deep as 50 meters, descending slopes, sandy ocean surface, and of course, schools of different species of fish and sea creatures that hide across its colorful reef systems. Samar has a lot of surprises for travelers and adventurers who want to explore the untouched and underappreciated travel destinations in the country. 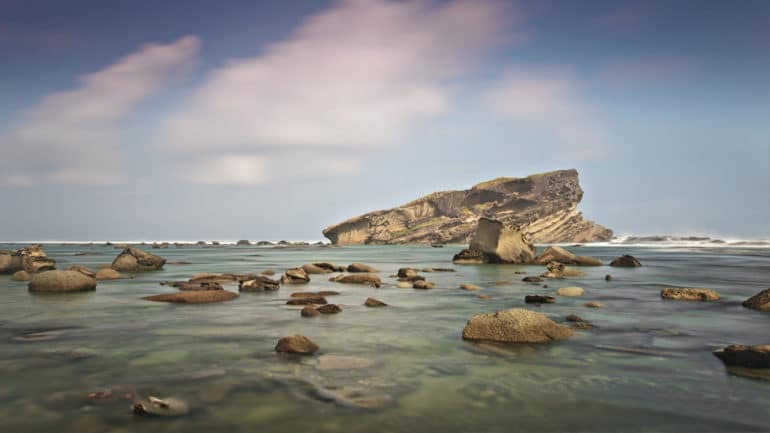 Biri Island, for instance, is a rising superstar among backpackers who took the road less traveled. In the island is a sight like no other and many who had the chance to visit this remote location can attest to the spot’s almost surreal and out-of-this-world experience. The Biri Island Rock Formations are actually small islets characterized by rough and rocky terrains. These six different land formations have been nicknamed by the locals according to their distinct physical features: the Caranas, Macadlaw, Puhunan, Bel-at, Masapat, and Magasang. These rocky islets are connected and can be accessed by foot during low tides. The place does not only offer a mesmerizing photo opportunity but also provides what every typical island has in store for its visitors: a beachfront for sunbathing and swimming, with natural pools in crystal clear waters for a quick dip. Be warned, though, that Samar is generally a hot and humid region so staying long hours under the sun may not be a great idea. Many people don’t really have the courage to explore more and discover everything that the country has to offer. Thanks to the power of social media and the internet, many places and travel destinations are starting to make their mark on every traveler’s map. Remember that the best places in the Philippines with the most fantastic views are not only found in the most popular travel websites. Some of them are out there, waiting for their chance to show the world that they, too, can be a special entry in someone’s bucket list.